This post is a basic “explainer” reminding readers of a problem endemic in the popular press when it discusses debt of various kinds, and as we watch our government’s deficits explode after the ill-advised tax reductions of 2017. There is are fundamental economic differences between consumer debt, business debt and government debt, and yet most people do not make that differentiation in their writing or their thinking. Indeed, we hear too much writing that treats them as the same. So, here is my take on the differences between the three, in far too brief and incomplete a format. Each is worth a book of analysis in itself. Most debt held by consumers is, as Popeye’s friend Wimpy taught us in the old cartoons, “paying next Tuesday for a hamburger consumed today.” I have written in the past about how, from a consumer perspective, “money is denominated choice,” and the incurring of credit card and other consumer debt simply shifts the timeframe of that “economic choice” transaction. When I use consumer credit, I consume something today but do so by voluntarily restricting my future economic choices, and even constrain those choices to a greater degree because of the interest paid as the cost of the deferral. What about house mortgage debt? Theoretically, this is an investment, but in practicality that investment value is usually overrated for many homeowners. Because most people only hold one mortgaged property, the consumer is bearing a large diversifiable risk  that business real estate investors can easily minimize by holding many properties or stocks. The non-interest costs of home ownership, such as utilities and maintenance, are also much closer to consumer costs, where you are mostly paying for a particular “quality of life.” Add to this the large in-out costs represented by realtor commissions, and the financial benefits of home ownership, as compared with wisely investing elsewhere, shrink. 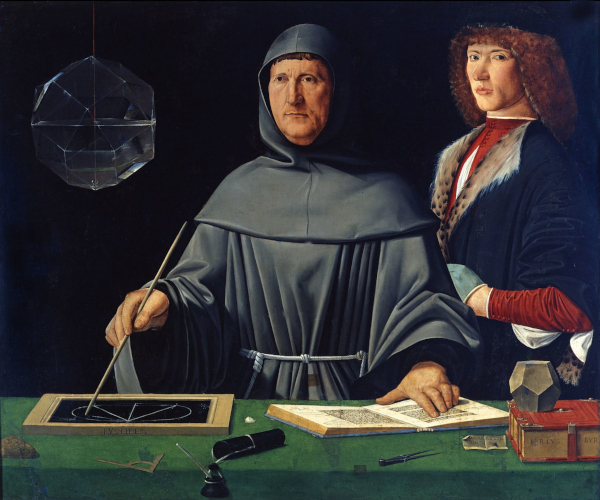 Ever since the Franciscan monk Luca Pacioli formalized the Venetian system of debits and credits in 1494, accountants have segregated the left side of the balance sheet, listing a company’s assets, from the company’s debts and owner’s equity on the right side. Less understood is that the business debt shown on that right side is better conceptualized as a form of “conditional ownership” and a “horse-trading” between classes of investors for carrying different levels risks, and receiving different returns as a result. As seen recently in the case of struggling retailers like David’s Bridal, Toys-R-Us and Sears, the stockholders are only “owners,” and in control of the business, as long as the debt-holders are first satisfied. As soon as you stop paying the debt-holders they, effectively, become “the owners.” And in many companies, there is a “fuzzy line” between what is classified as “debt” and what is classified as “stockholders’ equity.” Preferred stock and convertible debt are examples that ride this fuzzy line. A convertible bond, for instance, could literally be classified as “debt” one day and “stockholders’ equity” the next, at the investor’s choice. In other words, think of business debt-holders as owners who have deferred their rights of day-to-day control as long as they are paid a fixed return first. In highly-leveraged private equity (PE) take-overs like David’s Bridal, this is especially true, as the rate of eventual debt-holder control for private equity leveraged buy-outs might be 25% or higher. This is a very messy part of the discussion because it is hard to get two economists to agree on what the true nature of government debt is. What we can say that most economists would agree on is that government debt is not the same as business debt, and the whole notion of running a government “like a business” or “like your own household” is, in reality, absurd. While the Republican Party has long given the perception that it “hates government borrowing,” the unconstrained military budgets over decades, the unpaid-for wars in Afghanistan and Iraq, and the massive 2017 corporate tax cuts all demonstrate that they don’t really see government debt as being equivalent to consumer debt or business debt either. The pecking order is pretty clear here. You are likely going to have to pay back your consumer debts. Businesses, on the other hand, can often dump their debts through “strategic bankruptcy,” forcing much of the pain on suppliers and taxpayers. And government officials can get away with deferring much of the consequence of government’s own special kind of debt well past the point of their tenure. Diversifiable risk is sometimes called non-systematic or unsystematic risk. For instance, an owner of five small apartment buildings has less diversifiable risk from a fire loss than does the owner of one large apartment building. In the larger economic markets, investors are not compensated for risks that they could easily reduce through diversification of their investments. In other words, when you “place all your eggs in one basket” you are taking on larger risks for no greater return.